After a network is installed, network operations personnel monitor and maintain it. From a security perspective, operations security attempts to secure hardware, software, and various media while investigating anomalous network behavior. A computer network is a dynamic entity, continuously changing to meet the needs of its users. New network components are added and eventually retired. Security categorization: Security categorization, as the name suggests, categorizes the severity of a security breach on a particular network component. For example, a newly added network device might be categorized as having either a high, medium, or low security level. Preliminary risk assessment: Although a more formalized risk assessment follows in the SDLC, the preliminary risk assessment offers a high-level overview of a system’s security requirements. Risk assessment: The risk assessment performed in the SDLC’s initiation phase serves as the foundation for this more formalized risk assessment, which specifies protection requirements. Security functional requirement analysis: This analysis identifies what is required to properly secure a system such that it can function in its intended capacity. For example, a requirement might state that a corporate security policy has to be written. Security assurance requirements analysis: Based on legal and functional security requirements, this analysis provides evidence that the network resource in question will be protected at the desired level. Cost considerations and reporting: A report is created that details the costs of securing a system. Included costs might include expenses for hardware, applications, personnel, and training. Security planning: A report is created that details what security controls are to be used. Security control development: A report is created detailing how the previously determined security controls are to be designed, developed, and implemented. Developmental security test and evaluation: Testing is performed to validate the operation of the implemented security controls. Inspection and acceptance: The installation of a system and its functional requirements are verified. System integration: The system is integrated with all required components at its operational site, and its operation is verified. Security certification: The operation of the previously specified security controls is verified. Security accreditation: After the operation of required security controls is verified, a system is given appropriate administrative privileges to process, store, and/or transmit specific data. Configuration management and control: Before a configuration change is made to one part of a network, the potential impact on other parts of the network is considered. For example, change management software might be used to notify a variety of information security employees before a change is made to one of the integrated systems. Those employees could then evaluate the potential impact that such a change would have on the portion of the information system they are responsible for. Continuous monitoring: Even after a security solution is in place, it should be routinely monitored and tested to validate its operation. Information preservation: Some information needs to be preserved because of legal restrictions. Also, archived information should periodically be transferred to more modern storage technologies, to ensure that, over time, the medium used to store the archived information is not an obsolete technology. Media sanitation: When storage media that contain sensitive information are disposed of, they should be “sanitized” so that no one can retrieve the information. For example, simply deleting a file from a hard drive does not necessarily prevent someone from retrieving it. A better practice might be to overwrite the old data to prevent its retrieval. Hardware and software disposal: When hardware and software components are retired, a formalized disposal procedure should be used. Such a procedure could help prevent someone with malicious intent from retrieving information from those components. Operations security recommendations attempt to ensure that no one employee will become a pervasive security threat, that data can be recovered from backups, and that information system changes do not compromise a system’s security. Table 2-2 provides an overview of these recommendations. To verify that a network’s security solutions are acting as expected, you should test them occasionally. This network security evaluation typically occurs during the implementation phase and the operations and maintenance phase of SDLC. During the implementation phase you should evaluate network security on individual system components, in addition to the overall system. By performing a network security evaluation during the implementation stage, you are better able to discover any flaws in your security design, implementation strategy, or operational strategy. You can also get a sense of whether your security solution will meet the guidelines of your security policy. After a system enters its operation and maintenance phase, you should continue to perform periodic security evaluations to verify the performance of your security solution. In addition to regularly scheduled evaluations, Cisco recommends that evaluations be performed after you add a component (for example, a web server) to the information system. It has scanning and sweeping features that identify services running on systems in a specified range of IP addresses. It uses a stealth approach to scanning and sweeping, making the scanning and sweeping less detectible by hosts and IPS technology. system running on a target system (including a percentage of confidence that the OS was correctly detected). 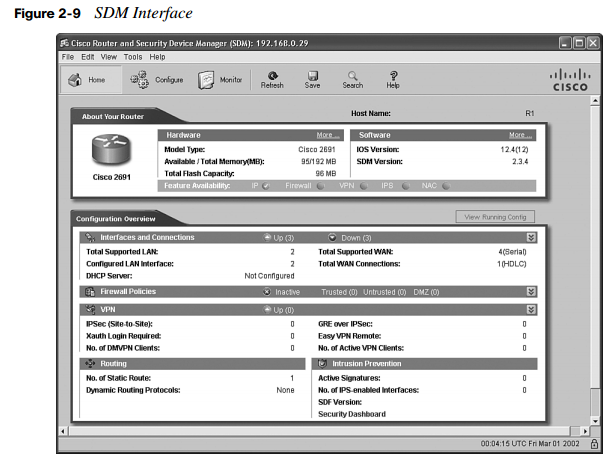 Figure 2-1 shows a GUI version of Nmap called Zenmap, which can be downloaded from the link just provided. With the potential for natural disasters (such as hurricanes, floods, and earthquakes) and man-made disasters (such as terrorist attacks) looming over today’s networks, network administrators need to have contingency plans in place. Although these plans are sometimes called business continuity plans or disaster recovery plans, disaster recovery planning tends to address actions taken during and immediately after a disaster. Specifically, disaster recovery (which is just a subset of business continuity planning) is concerned with allowing personnel to again access the data, hardware, and software they need to do their jobs. Also keep in mind that although a disaster recovery plan often conjures up thoughts of redundant hardware and backup facilities, a comprehensive disaster recovery plan also considers the potential loss of key personnel. 51 percent close within two years. Business continuity and disaster recovery plans should address varying levels of disruptions by specifying different responses based on the severity of the disruption. To assist you in quantifying a disruption, consider the categories presented in Table 2-3. Redundancy is key to recovering from a disaster. For example, if a server is destroyed, you need a replacement server to assume its role. However, on a larger scale, you should also consider redundant sites, from where critical business operations can be resumed. Consider the three types of redundant sites described in Table 2-4. One of the main reasons security breaches occur within an organization is the lack of a security policy or, if a security policy is in place, the lack of effectively communicating that security policy to all concerned. This section discusses the purpose of a security policy, what should be addressed in that policy, how to maximize its effectiveness, and how to create awareness and understanding of the policy. A security policy is a continually changing document that dictates a set of guidelines for network use. These guidelines complement organizational objectives by specifying rules for how a network is used. The main purpose of a security policy is to protect an organization’s assets. An organization’s assets include more than just tangible items. Assets also entail such things as intellectual property, processes and procedures, sensitive customer data, and specific server functions (for example, e-mail or web functions). One of the more well-known components of a security policy is an acceptable use policy (AUP), also known as an appropriate use policy. An AUP identifies what users of a network are and are not allowed to do on the network. For example, retrieving sports scores during working hours via an organization’s Internet connection might be deemed inappropriate by an AUP. Because an organization’s security policy applies to various categories of employees (such as management, technical staff, and end users), a single document might be insufficient. For example, managerial personnel might not be concerned with the technical intricacies of a security policy. Technical personnel might be less concerned with why a policy is in place. End users might be more likely to comply with the policy if they understand the reasoning behind the rules. Therefore, a security policy might be a collection of congruent, yet separate, documents. As previously mentioned, an organization’s security policy typically is composed of multiple documents, each targeting a specific audience. Figure 2-2 offers a high-level overview of these complementary documents. End-user policies address security issues and procedures relevant to end users. For example, an end user might be asked to sign an acceptable use policy (AUP) for Internet access. That AUP might state that Internet access is only for business purposes. Then, if an end user is found using the Internet for personal reasons, he or she could face the consequences outlined in the governing policy. Standards: Standards support consistency within a network. For example, a standard might specify a limited number of operating systems to be supported in the organization, because it would be impractical for the IT staff to support any operating system that a user happened to select. Also, standards could apply to configuring devices, such as routers (for example, having a standard routing protocol). Guidelines: Whereas standards tend to be mandatory practices, guidelines tend to be suggestions. For example, a series of best practices might constitute a security policy’s guidelines. Procedures: To support consistency in the network, and as dictated by the previously mentioned standards, a security policy might include a collection of procedures. These procedures are very detailed documents providing step-by-step instructions for completing specific tasks (such as steps for configuring port security on a Cisco Catalyst switch). As soon as a security policy is created, the security and IT staff are responsible for implementing it within the organization’s network. End users are responsible for complying with the security policy. Network security concerns mitigating risks to the network. Therefore, network security designers need to identify threats facing the network. This process is known as threat identification. However, beyond basic identification of threats, a key design decision revolves around analyzing the probability that a threat will occur and the severity of the consequences if that threat does occur. This analysis is called risk analysis. When performing risk analysis, one of two broad approaches can be used: quantitative or qualitative. This formula calculates the annualized loss expectancy (ALE). The ALE produces a monetary value that can be used to help justify the expense of security solutions. The factors contributing to the ALE value are defined in Table 2-5. A qualitative analysis is often more appropriate than a quantitative analysis because of the large scale of the network being analyzed. For example, in a nationwide network deployment, it might be considered impractical to list all the assets installed in all facilities across the country. Therefore, a qualitative analysis uses a scenario model, in which scenarios of risk occurrence are identified. It identifies a cost/value ratio for the cost of security measures versus the anticipated value of the security measures. It justifies requested capital expenditures for security solutions. It identifies areas in the network that would benefit most from a security solution. It provides statistics for future security planning. An attacker could compromise one of the e-commerce servers and potentially gain access to customer credit card information. An attacker could falsify transactions. This could, for example, cause the e-commerce server to inaccurately charge customers for products that customers did not purchase. An attacker could launch a denial-of-service attack on one of the e-commerce servers, rendering it unusable for legitimate transactions. Risk management: Risk management assumes that not all potential threats can be eliminated. It attempts to reduce the anticipated damage from risks to an acceptable level. For example, in the previous lists of potential threats, IPS, IDS, HIPS, and firewall solutions might be introduced to reduce the likelihood and impact of the identified threats. Business needs: Business needs dictate what an organization wants to accomplish with its network. Note that this need is the most important of all the needs. Risk analysis: As previously discussed, a comprehensive risk analysis can be used to assign an appropriate level of resources (for example, an appropriate amount of money) to a potential security risk. Security policy: Earlier in this chapter you read about the elements of a security policy. A security policy typically contains multiple documents, targeting specific audiences within an organization. These individual documents provide day-to-day guidance, relating to network security, for all organizational employees. Best practices: Rather than the mandatory rules imposed by a security policy, a set of best practices (developed internally and/or externally) can offer proven methods for achieving a desired result. Security operations: Day-to-day security operations entail responding to an incident, monitoring and maintaining a system, and auditing a system (to ensure compliance with an organization’s security policy). Analyze how the failure of one system component impacts other system components. component of a network (such as an IPS appliance) fails. If that component defaults to a mode in which it forwards traffic, rather than performing its previous security function on that traffic, the component is said to be operating in fail-open mode. However, if a security component denies traffic that it cannot inspect, the component is said to be operating in fail-closed (also known as fail-safe) mode, which would be the more secure of the two modes. Identify all possible attacks to which a network might be exposed. Evaluate the likelihood that a particular attack will be launched against a network. If an attack seems unlikely because of required processor resources, extrapolate to consider the fact that processor resources will be more readily available in the future. Consider the inevitability of user error in compromising a system’s security. Subject your assumptions to review by other knowledgeable parties within your organization. One approach to securing a network is to assign users the minimum privileges they require to complete their assigned duties. This approach, called the least-privilege concept, helps reduce potential system vulnerabilities resulting from a user being assigned too many privileges. Also, the least-privilege concept can expedite the identification of security weaknesses in a system. In actual practice, however, the least-privilege concept is often challenging to implement consistently. For example, users might occasionally require a level of permission beyond that which they are currently assigned to accomplish a legitimate task. These “exceptions to the rule” might result in an unacceptable level of day-to-day configuration on the part of administrators and might also result in an overall loss of productivity. To understand the least-privilege concept, consider Figure 2-3. The firewall only allows the user to communicate with the e-mail server via SMTP and/or POP3. This example of the least-privilege concept could result in an issue if web-based e-mail access were added. In such an instance, the user might attempt to connect to the e-mail server using HTTP to connect to the newly configured web-based e-mail feature. However, the user would be denied, because the firewall permits only SMTP and POP3 access to the e-mail server. Additional firewall configuration would then be required by the administrator to enable the web-based e-mail access. A final principle of security network design considers the complexity of a security solution. A complex security solution, by its nature, can make it difficult for network administrators to effectively troubleshoot security-related issues. Additionally, if users are faced with a complex security procedure they must perform to accomplish their tasks, they might seek a simpler work-around to improve their productivity. Identify the scope of the program: A comprehensive program should provide training to all users of a system and/or network. Select trainers: The trainers should be competent at communicating current security issues. Identify groups of users to receive training: Because different categories of users require different training (for example, different users require varying levels of technical training), the end-user community should be categorized into different audiences. Encourage full participation: Obtaining management buy-in to a security awareness program can help motivate other users to participate. Continually administer, maintain, and evaluate the program: As a system’s security needs evolve, a security awareness program must be subjected to periodic review and be updated accordingly. With proper awareness training in place, all categories of end users (such as executives, managers, staff, and temporary employees) can contribute to the network’s overall security. Note that awareness training, a security policy, and properly installed network defenses are insufficient when used in isolation. However, these security elements complement one another when used together. Many modern security threats rapidly propagate across the Internet and internal networks. As a result, security components need to be able to respond rapidly to emerging threats. To combat these threats, Cisco offers the Cisco Self-Defending Network, which is its vision for using the network to recognize threats and then prevent and adapt to them. This section describes the implementation of the Cisco Self-Defending Network approach, which leverages Cisco products and solutions. As computing resources have evolved over the past couple of decades, security threats have kept pace. For example, in the 1980s, boot viruses presented a threat to computer systems. However, such viruses took weeks to propagate throughout an individual network. During the 1990s, more-advanced viruses, denial-of-service (DoS) attacks, and other hacking attacks evolved. These attacks could impact multiple networks and propagate in a matter of days. Modern networks face threats such as blended threats, which combine worm, virus, and Trojan horse characteristics. Such advanced threats can spread throughout regional networks in a matter of minutes. Future threats are anticipated to spread globally within just a few seconds. Port 80 traditionally is thought of as the port used for web traffic. Because it is often an open conduit entering “secured” networks, attackers can attempt to send malicious traffic in the form of port 80 payloads. Because traffic is often sent in an encrypted format (for example, using Secure Socket Layer [SSL] or Transport Layer Security [TLS]), malicious traffic can often escape recognition (for example, by Intrusion Prevention System [IPS] or Intrusion Detection System [IDS] appliances). Clients often have multiple network connections (for example, a wireless laptop connected to a corporate wireless access point and also acting as a peer in a wireless ad-hoc network). Therefore, those clients might act as conduits for malicious users to access a “secured” network. When a Cisco Self-Defending Network is constructed, consideration is given to how the individual security products work together. As a result, a Cisco Self-Defending Network integrates a collection of security solutions to identify threats, prevent those threats, and adapt to emerging threats. Figure 2-4 highlights the three core characteristics of a Cisco Self-Defending Network, which are described in Table 2-7. Endpoint threat control defends endpoints against threats, typically sourced from the Internet, such as viruses and spyware. Infrastructure threat control protects servers and shared applications from internal and external threats. E-mail threat control blocks security threats sourced from e-mail, such as malicious attachments. Remote-access communications security secures transmission to an organization’s network and applications via a secure tunnel formed across the Internet on an as-needed basis. Site-to-site communications security secures transmission between an organization’s primary site and other sites (for example, home offices or business partners) via an Internet-based WAN infrastructure. Figure 2-5 shows the hierarchical structure of a Cisco Self-Defending Network. As an organization’s network begins to grow, end-to-end security management becomes a more daunting task. Fortunately, Cisco offers a suite of security management tools, the main components of which are Cisco Security Manager and Cisco Security Monitoring, Analysis, and Response System (MARS). It uses event correlation to collect events from multiple devices in the network, thereby reducing the number of false positives. It identifies appropriate mitigation strategies for specific security challenges. It uses Cisco NetFlow technology to more readily identify network anomalies. A Cisco Self-Defending Network relies on a collection of complementary security solutions. Table 2-8 identifies some of the products available in the Cisco product line that could contribute to a Cisco Self-Defending Network.